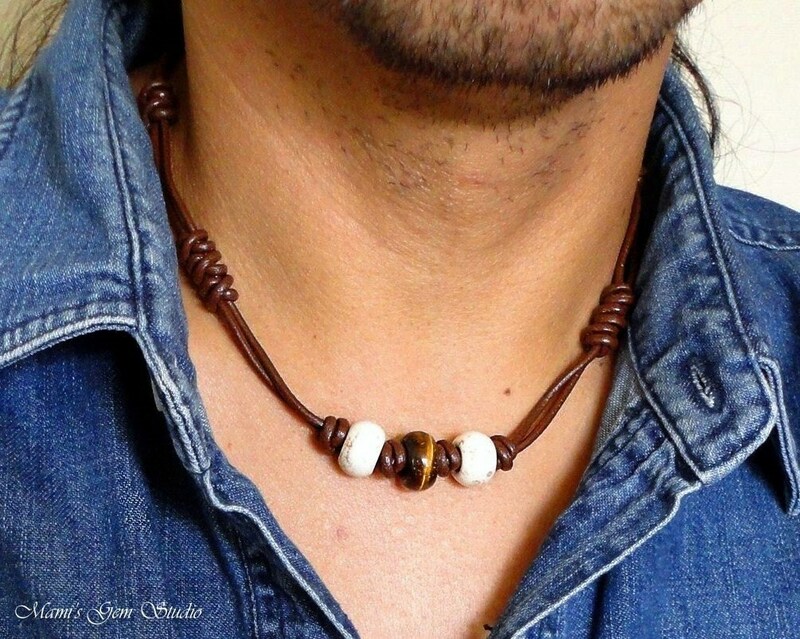 This is a tribal-inspired men's choker necklace that I carefully handcrafted with natural Tiger Eye and White Magnesite gemstone large hole beads on a genuine leather chocolate brown doubled 2mm cord, which I hand-knotted and braided with a special technique. The leather ends are finished off with pewter connectors in antiqued fine silver plating and a stainless steel oval clasp. Great for everyday casuals. Length Option: 17 inches (43cm), 18 inches (46cm), 19 inches (49cm), 20 inches (51cm), or a custom length up to 22 inches (up to 56cm). Just perfect for Father's day.